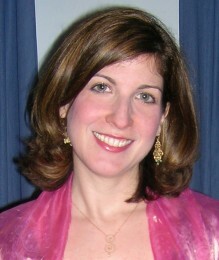 Susan Rubin performs frequently around the Boston area and is a member of the Voices of Hope. She will be appearing as snake and featured dancer in VOH’s production of Children of Eden, to be presented at the North Shore Music Theatre. Some of Susan’s favorite roles include Jenny in Company, Sheila in Hair, Francesca in Nine, Corie in Barefoot in the Park, Maggie in A Chorus Line, Emily in Our Town, and Alice in The Secret Garden. Susan enjoys working with youth theatre and most recently choreographed Little Women: The Musical at the Winnmere Family Theatre. Susan is featured on seven recordings and, as a vocalist with the New World Chorale, Zamir Chorale, and Tanglewood Festival Chorus, She has sung in concert halls across the U.S., Europe, & Israel as well as at Fenway Park and with the Boston Ballet.